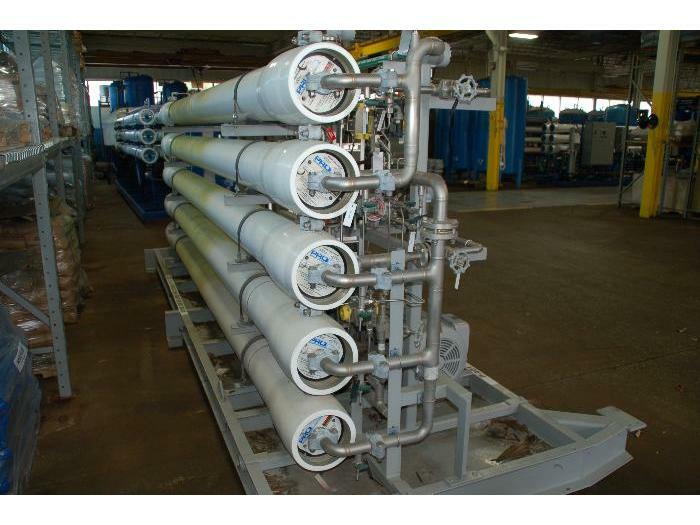 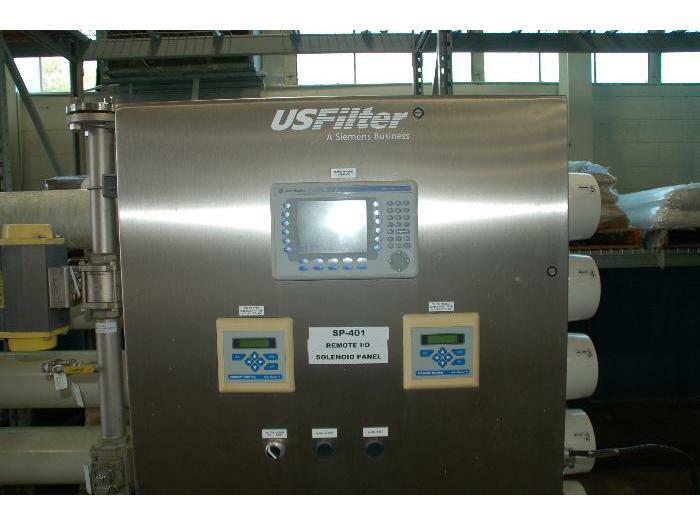 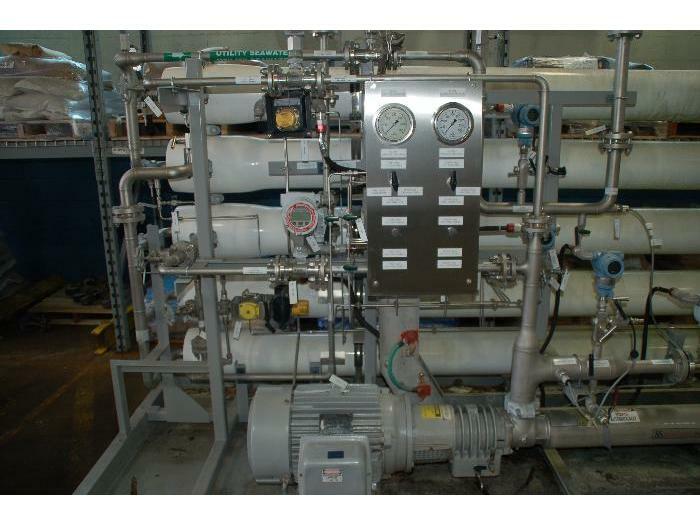 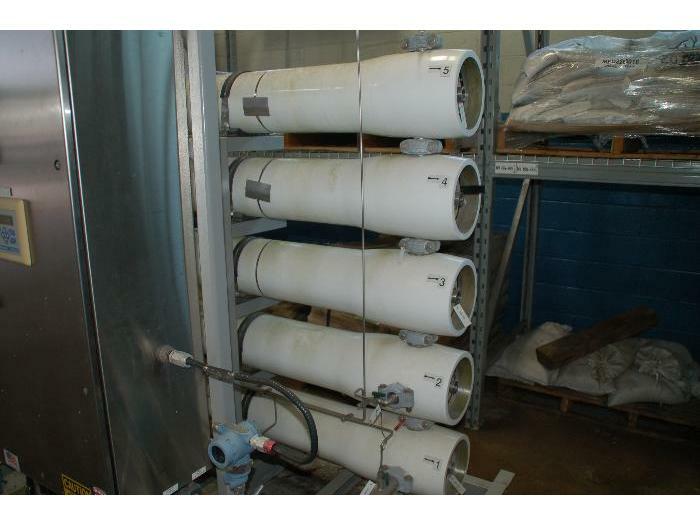 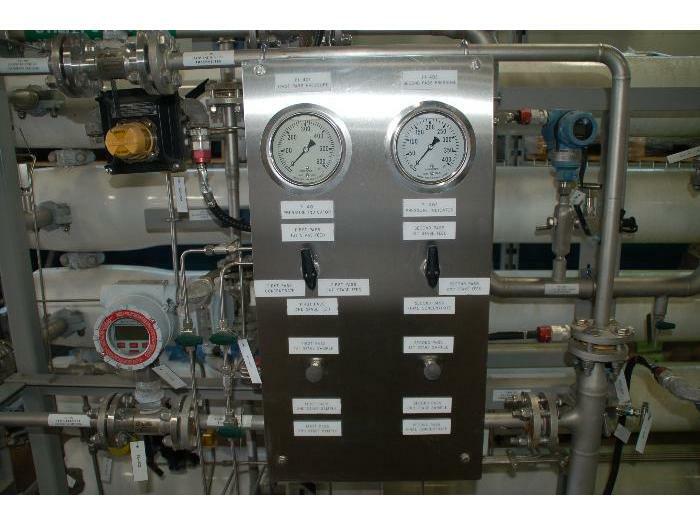 This U.S. Filter double pass reverse osmosis unit is rated for approximately 30-35 gpm and is unused. 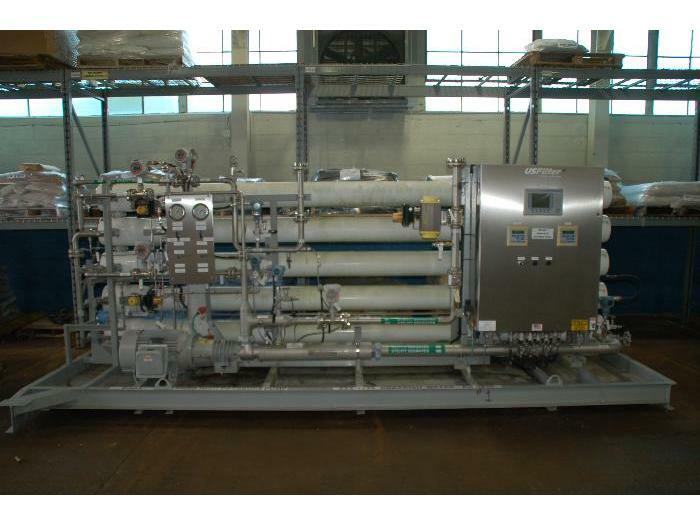 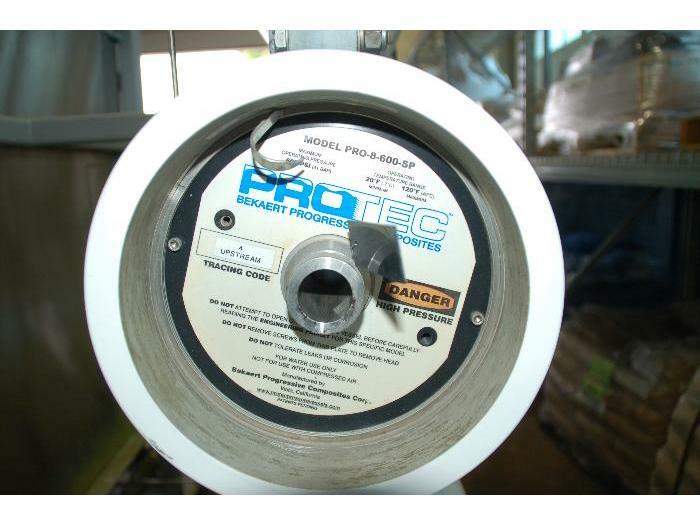 It has five 4M Protec Model PRO-8-600-SP 600 psi membrane housings configured in a 1:1:1, 1:1 array with stainless piping and concentrate recovery. 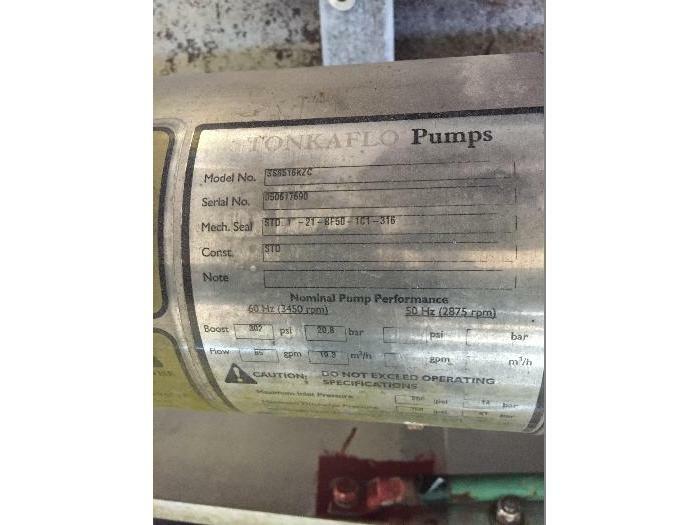 The feed pump is a Tonkalfo SS516KZC Std. 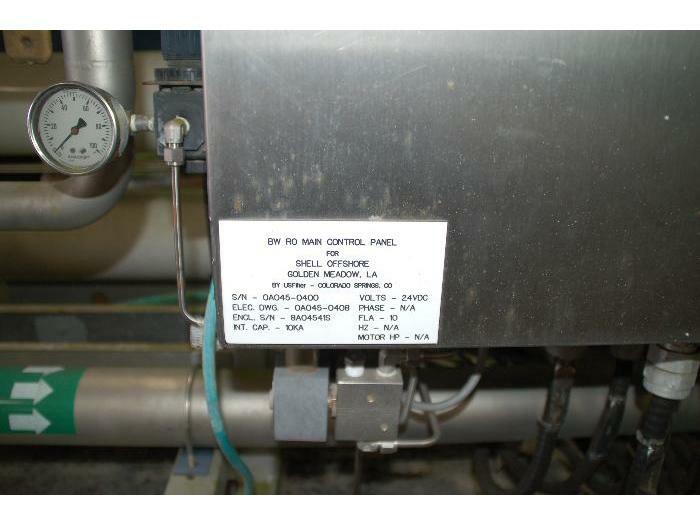 1"-21-BF50-1C1-316 85 gpm, 302 psi, 20.8 bar 3450 rpm horizontal pump powered by a Marathon DVE284TSTFPA14003AAL 3 PH dual service motor 60 Hz, 25 HP, 230/460 V, 3525 rpm (50 Hz, 190/380 V, 2925 rpm, 20 hp). 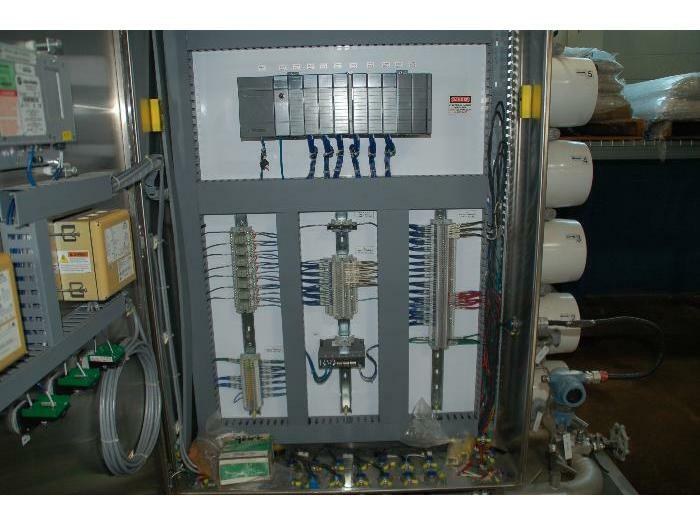 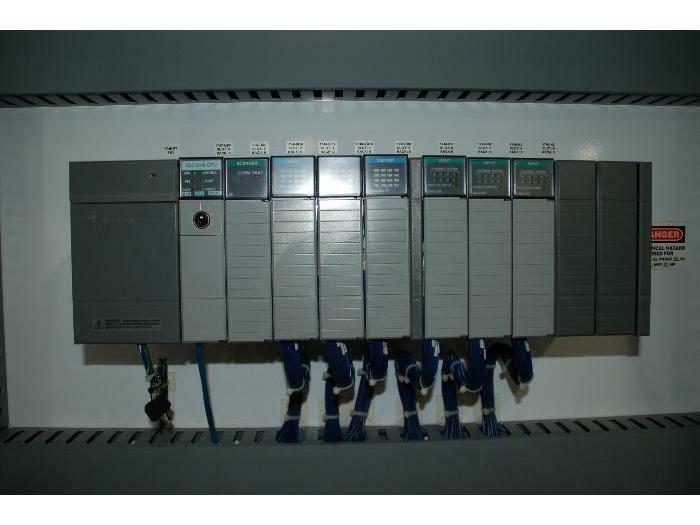 The control panels includes an Allen Bradley SLC5/05 CPU PLC; Allen Bradley PanelView Plus 700 HMI, Rosemount SoluComp II feed and product conductivity/temperature panels; Ashcroft pressure gauges for all stages of the first and second pass feed and concentrate; and sample ports for all stages of the first and second pass. 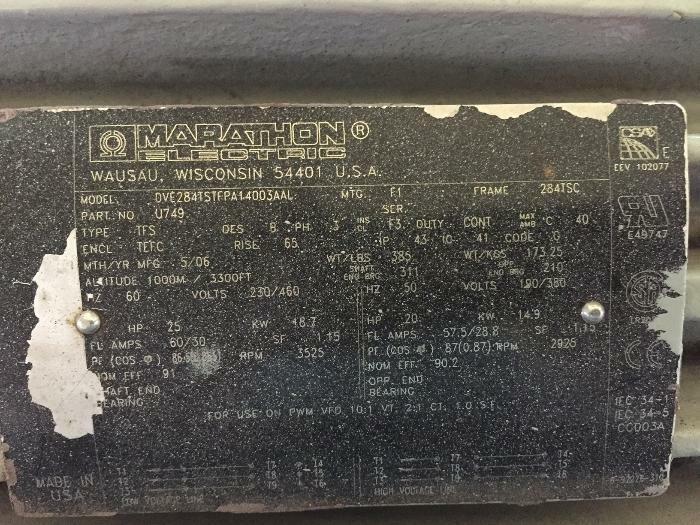 Shipping dimensions are 192"L x 72"W x 82"H.